I’ve been meaning to write about this one for a little while now. 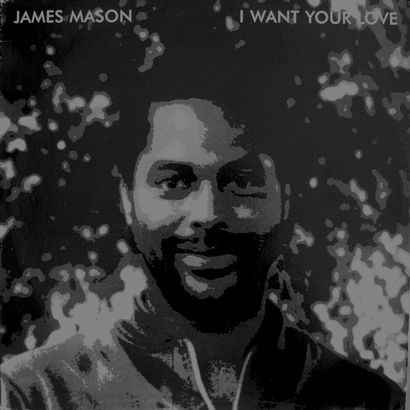 Even after 30+ years, “I Want Your Love” from James Mason remains a mythical track amongst funk & soul heads (and the 100$+ price tag on his LP is a proof of that). James Mason is an incredible keyboard player & guitarist and originally a member of Roy Ayers’ band, in fact it’s James Mason playing keys on Ayers’ classic “Running Away” track. In 1977 Mason recorded his debut solo album, Rhythm of Life, for the tiny New York independent label Chiaroscuro. It went out of print in an extremely short time, and Mason never recorded another one, pretty much disappearing from sight. However by the ’90s, Rhythm of Life had attained near-Holy Grail status among acid jazz enthusiasts, partly because of its rarity and partly because its music — even more rooted in funk than Ayers’ — seemed to perfectly epitomize what the rare-groove revival was all about. Finally, in 1999, England’s Soul Brother Records acquired the rights to the master tapes and reissued Rhythm of Life on CD, allowing the album to claim its rightful status as a lost classic. Rilly Guilty "Golden Sounds Volume #4"
Future Classic: Gravious "Spatial Dimensions EP"